Community Crops provides training, technical assistance and land access to beginning, immigrant and limited-resource farmers. Our goal is to help people create sustainable farm businesses to feed their families and their community. 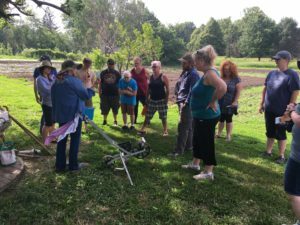 The Growing Farmers Core Skills Workshop series takes participants through an entire growing season starting with greenhouse propagation in February and finishing with season extension and overwintering in September. The Core Skills Workshops are a set of 10 workshops meant to equip aspiring farm entrepreneurs with the essential resources and practices for managing a regenerative market farming business. 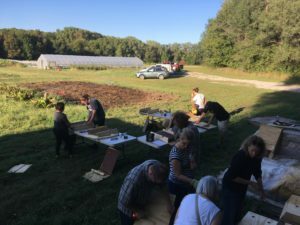 Those who register and complete all of the 10 Core Skills Workshops in the Growing Farmers Workshop Series are eligible to apply for the Prairie Pines Incubator Farm site, where they can start their own farm business. Additional workshops will be offered at Prairie Pines and our greenhouse throughout the growing season and are meant to expose participants to hands-on practice of essential farming skills in a working-farm learning environment. 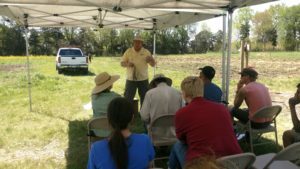 Growing Farmers Workshop Series – 2018 Update! Registration for 2018 workshops is now open! Go to our events page to register! 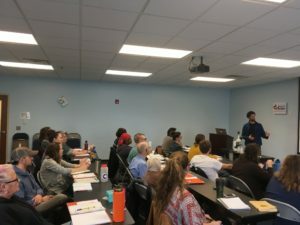 All participants in the Core Skills program will leave with the ability to manage plants in a greenhouse environment, succession crop plan for continuous harvest, assess soil health with a microscope and other methods, manage business expenses, develop effective record keeping systems, and much more! How can this workshop series help you? Do you dream of beginning your own small farm? The Growing Farmers workshops will help you learn the planning and production skills you need to start a market farm business. Learn from experienced growers, Extension educators and business experts about sustainable vegetable production. The 2018 schedule is still a draft and is subject to change. Registration for the Core Skills workshops is $20 per workshop. If you enroll in all 10 of the Core Skills workshops the cost is $150. A couple can enroll in all 10 classes for $200. Scholarships are available for those requiring financial assistance. Included with your enrollment are printed resources and light refreshments and snacks during the workshops. For more information please contact Matt or call him at 402 474 9802. Learn more about starting your own small farm in our FAQ. 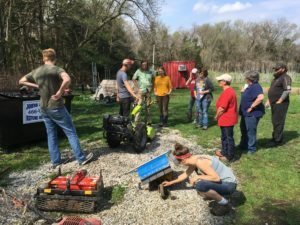 For 2018 we have scheduled a wide variety of quick skill sessions that are meant to expose participants to hands-on learning and advanced market farming techniques. Community Crops has the tools and infrastructure for you to try before you buy! Want to learn whether you should invest in a push-precision seeder? Come try some different models yourself at Prairie Pines! Curious about the best hand cultivating tools and techniques? From wheel hoes to wire weeders we can show you many of the options available! To register or find more information, visit our events page for individual workshop listings. 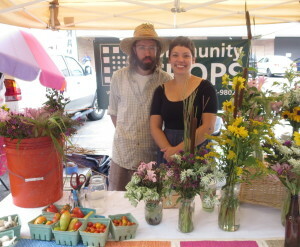 Since 2005, Community Crops has been supporting beginning farmers as they start new farm businesses. However, our training program is only three years long, and our program graduates need space to expand their growing operations! Are you or interested in supporting the next generation of farmers by leasing or selling your land in or near Lincoln? Most graduates are looking for one to two acres of flat land with access to water. Contact the Crops office at 402-474-9802 or email Matt if you have any information on land that would meet our graduates’ needs. Another opportunity for beginning farmers is the Farm Beginnings® course, an educational training and support program designed to help people who want to evaluate and plan their farm enterprise. This course is appropriate for those who want to transition their existing farmland or who are focused on larger livestock. More details.